Owning a dog has never been cheap. But if there is a way to make dog parenting tasks more rewarding and, at the same time, easier on the wallet, why not opt for the more convenient means? While you have endless selections when choosing dog treats at the pet store, they can still be pretty expensive. Baking your own jerky won't only save you some cash, but it can also be a healthier alternative for your pet. To do this, start off by rinsing the chicken breast fillets. 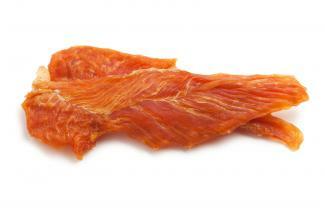 Keep the jerky lean by removing any fat (so poor Fido doesn't die of a heart attack.) Next, carefully slice the chicken with the grain for a chewier preference. The chicken slices must be about 0.5cm in thickness. Pound them using a tenderizing hammer until they are very thin. Then, preheat the oven to 200F. Grease the baking sheet lightly using olive oil or a non-stick spray, and place the strips onto the sheet. Bake for two hours or until they're brown and crispy. Finally, remove from the oven, and let them cool. You are now ready to reward your dog with a non-toxic, homemade treat. It's a real struggle when your dog becomes ill, and you can't get him to swallow his medicines. Try tricking your pet with a homemade pill pocket. There are a variety of ways to disguise your dog's medicine pills. 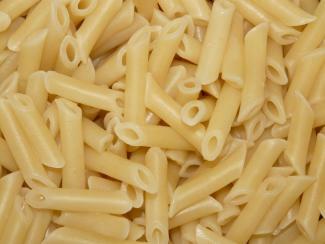 You can use cooked penne pasta and insert the medication inside. You can also stick the pill in the middle of a sausage. Another option is to create a peanut butter ball by combining peanut butter, milk, and flour. Use a chopstick to create pockets. You can store them inside the freezer for future use. Bonus Tip: Use crunchy peanut butter so your dog will not easily detect that a medicine is hiding inside the rolled treats. Don't throw your old pants and sweatshirts in the trash just yet. You can reuse these to create a comfortable bed for your furry friend. Simply stuff the material inside an old pillow case, or sew it together in such a way that it will mimic a bed or a human lap. The advantage of using your own old clothes is the smell-your smell. The familiar scent makes your dog's sleep time cozier and safer. Fleas and ticks are the most common enemies of your four-legged companion. No wonder why many kinds of dog shampoos are tailored to this purpose. To save money, you can make shampoo yourself using only basic home materials. Simply mix one cup of liquid dish soap and one cup of vinegar with a quart of warm water. Massage the solution to your dog while bathing him. Let it stay for five minutes before rinsing it off. Tired of seeing bitten cords, shoes, furniture, or other valuable things inside your house? Spraying bitter apple on your stuff can shoo your pet away. 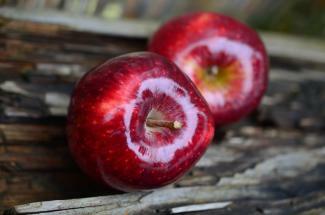 However, most commercial bitter apple sprays can cost you up to $20. A cheaper way to deter your dog from nibbling is to create your own spray. Vinegar is an ideal repellent for most dogs since its tart taste is one of their pet peeves. Mix two cups of apple cider vinegar with a cup of white vinegar. Shake well. Another alternative, if apple cider vinegar is unavailable, is lemon juice. Follow the same ratio of two cups of lemon juice and one cup of white vinegar. Shake well before spraying on household items. Be cautious though before spraying this concoction on household items, as it may discolor your furniture. To avoid bleaching your stuff, cut a fresh cayenne pepper in half and rub the extracted juices on things you don't want your pooch to chew. When your dog is bored and has nothing to dig, it has no choice but to bore its nails on your furniture. A surprising life hack can seal those wood scratches with one clever snack - a walnut. 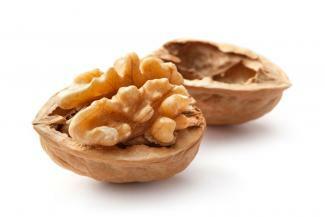 Rub the walnut several times directly on the scratched area using a circular motion. Make sure you cover the entire length of the mark. After rubbing multiple times, leave the area for a couple of minutes and let it soak in the natural oils of the walnut. These oils will seep into the wood, which can help heal its wounds. Lastly, polish the area with a soft cloth and get ready to see magic. Prior to doing this tip, make sure you empty the lint catcher in your dryer. Then, place your clothes in the dryer, setting it to a no-heat cycle for ten minutes. Afterwards, shake out the clothing and throw them in the washer. This time, you need to add a half cup of vinegar. This will aid in loosening the fabric and removing the hair. Shake out the laundry and put them again in the dryer. Remember to use dryer balls or sheets to release pet hair. A dog's urine contains a large concentration of metals and minerals, causing your lawn to have yellow spots. Grow back the green grass by watering the spots liberally. And while you are treating the lawn burn, keep your pets off the grass by scattering some citrus peels. Aromas like citrus flavors are too strong for your pet's nose but are safe to use. If your pooch drools a lot, your drool stain remover should be ready at all times. The sooner you clean the dried drool, the better. The substances in your dog's saliva make it hard to clean. Here's a go-to solution: One part vinegar mixed with three parts of hot water and a few drops of mild dish soap will do wonders. The vinegar halts the mineral buildup in your dog's drool. Warm water loosens the dried spot. And the dish soap has a formulation that eliminates oil. Training your pet is not easy. 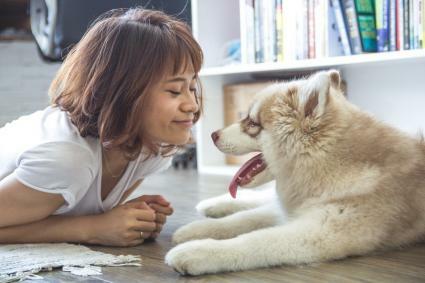 They have a keen sense of smell and since people are often too lazy to clean their carpets regularly; dogs are more inclined to pee in the same areas where they usually do. Remove the lingering smell of urine by using a simple trick. First, do a pre-test of the cleaning products in a small inconspicuous area of the carpet before general application. Mop the dog urine or use paper towels to absorb the liquid from the carpet. Sprinkle liberal amounts of baking soda onto the damp carpet and leave it for a few minutes. After that, if you have a white or light-colored carpet, scrub the area with a special liquid mixture (a cup of 3% hydrogen peroxide plus two teaspoons of mild liquid detergent) using a bristled brush. Allow the area to dry before vacuuming. 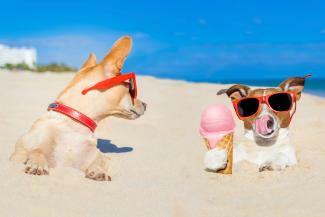 To avoid training rejection from your pup because of repeated snacks, try experimenting with frozen treats. Serving your pet something creative can make training more efficient and fun. Also, frozen popsicles are a great way to avoid dehydration in pets during the hot summer days. It can also be soothing for a teething puppy. Combine simple ingredients with low-sodium chicken broth or water in an ice cube tray or any molding trays. Be it yogurt, pureed vegetables, sliced fruits, or peanut butter, these frozen delights will surely grow an obedient pup. Make sure you reward your dog after a job well done. Both dog and owner can benefit from a dual purpose scratching post. Attach two large sandpapers on a plank of wood and let your dog scratch it as much as he wants to. It also works as a giant nail file, making your pet self-reliant in filing its nails. Talk about hitting two birds with one stone. The best time to leave your dog with this DIY scratching post is after taking a bath. Nails are softer and easier to trim after getting wet. Just pay attention to your dog's dew claws. Obesity was recognized as a disease in humans in 2013. According to Dr. Ernie Ward, founder of the Association for Pet Obesity Prevention, it is time to consider obesity among pets as a disease as well. It is important for a dog owner to prevent binge eating among pets at home. Restricted diets have been proven to have positive effects in the life expectancy and age-related changes in dogs, reports the American Veterinary Medical Association. 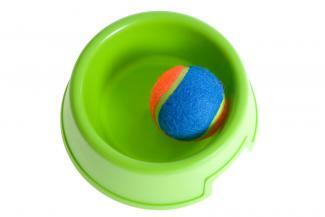 Use a food dispensing toy to regulate the rate and amount of food your dog consumes. Additionally, placing a ball in the bowl and spreading out the food in a muffin pan are both ingenious tricks to slow feed your dog. Use a hockey puck, if available. It's more effective, as it is heftier than a ball and harder to be tossed. Slowing down meal times can promote weight loss, as well as lessen the chances of indigestion and gas formation, in your dog. Notice how your dog acts during a thunderstorm? This can be a negative reaction due to a static buildup on your dog's fur. Many suggest rubbing a dryer sheet, but this can be toxic to your pet. 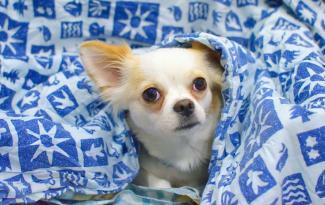 Instead, calm your pet by applying a light mist of water or bathing your dog to remove static. 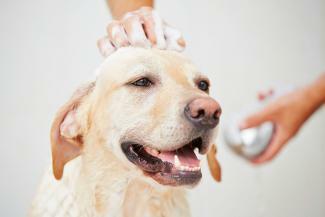 Before bathing your dog, place a moistened cotton ball in each of your dog's ears. Make use of baby oil to dampen the cotton. This technique helps keep out the water from entering the ear and prevent earaches in dogs. Don't forget to remove the cotton balls after bathing. Cleansing the ear canal is also another way to avoid earache complications. 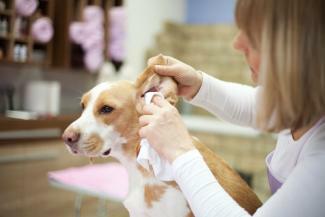 Gently massage your dog's ears with a cotton ball with a few drops of olive oil. This cleans the ears as well as removes excessive ear wax. Never use a Q-Tip as it can damage the ear canal and cause more problems. Take time to study your pets. You never know what unique hack you can discover yourself.